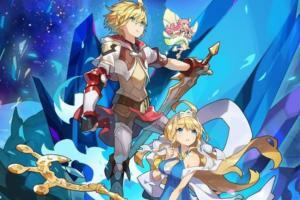 The Week in iPhone and iPad Cases: Bring home Prodigee's sparkling protection this holiday season! 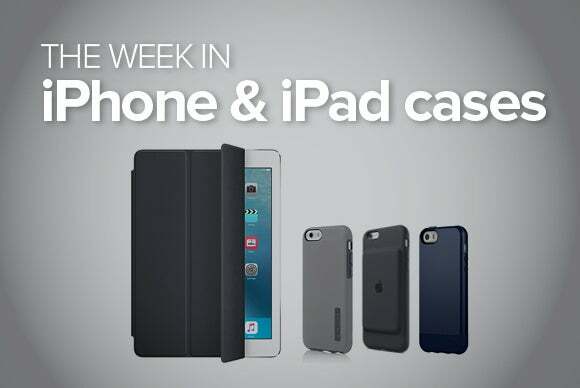 Just a few days away from the holidays, this week’s roundup of new iPhone and iPad cases helps you find last minute gifts for your friends and family. 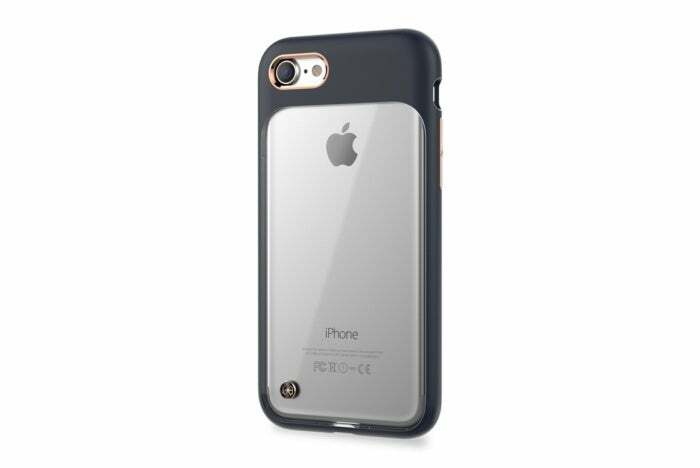 The RhinoShield PlayProof (iPhone 7 and 7 Plus; $24.99 MSRP, same on Amazon) sports a durable layout that precisely fits around your iPhone. 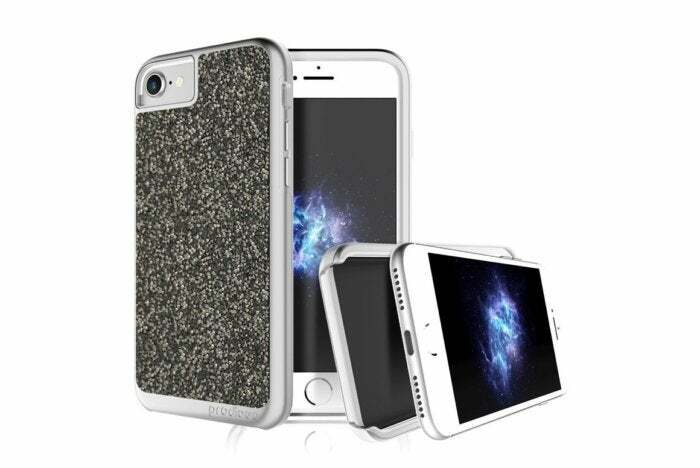 The case’s raised bezel prevents surface contact to keep your screen free of scratches, while its soft exterior makes it comfortable to carry and improves your grip. The PlayProof meets military drop standards, and comes in black, dark blue, white, powder blue, or shell pink. 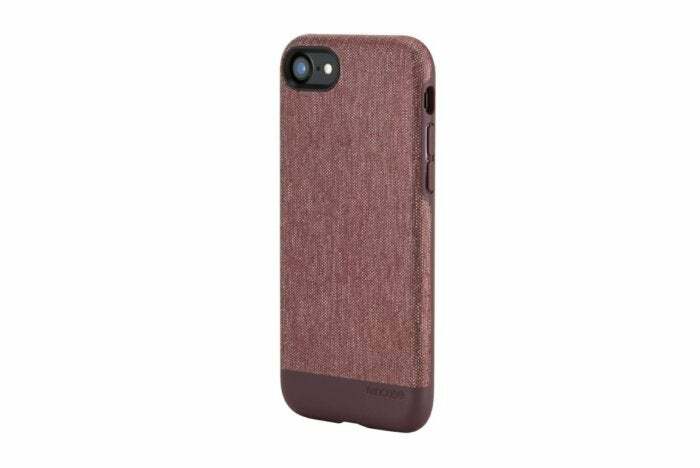 The Textured Snap (iPhone 7 and 7 Plus; $39.95 MSRP, same on Amazon) sports a catchy contrast fabric texture matched by a TPU molded case. 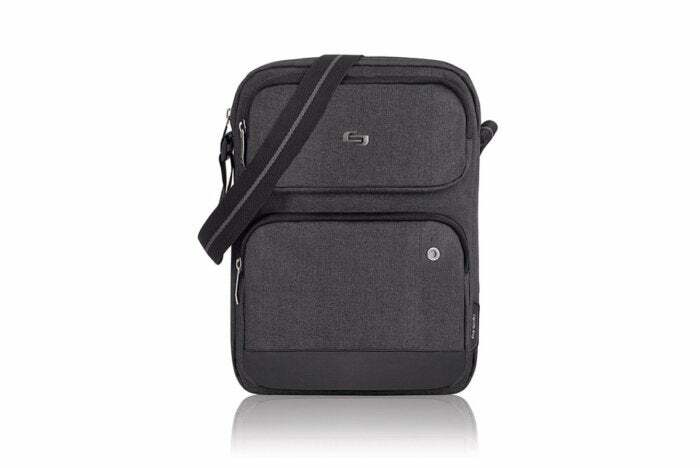 The case features a micro-suede lining for extra padding, as well as precisely engineered cutouts for your ports, and comes in heather deep red, heather black, or heather khaki. The Haven (iPhone 7 and 7 Plus; $34.99 MSRP, on sale for $24.49, $22.19 to $34.95 on Amazon) offers extra cushioning thanks to its internal suspension padding units designed to protect against damage from falls. 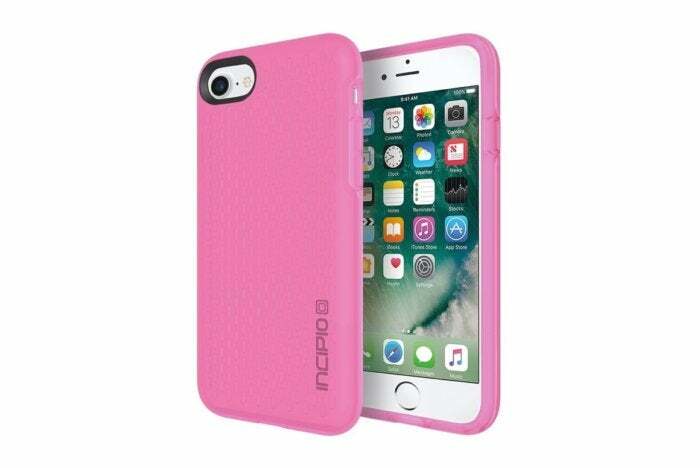 Tested to withstand drops form up to six feet, the case comes in four black/charcoal, frost, highlighter pink/candy pink, or navy/nautical blue, and sports a glossy finish that minimize scratches and daily wear and tear. 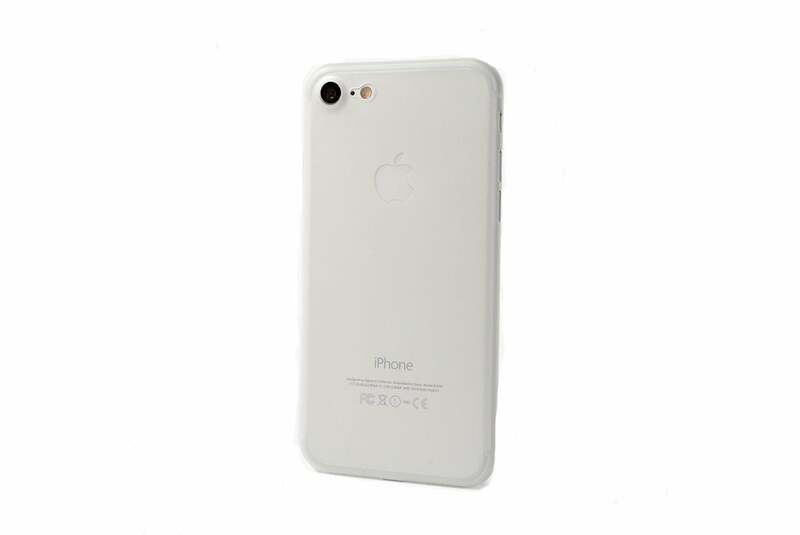 The Super Thin (iPhone 7; $24.99 MSRP) adds an ultrathin protective layer that nicely blends in with your iPhone’s elegant design. The case sports a protruding lip to prevent damage to your camera lens, and precise openings for unhindered access to all your ports and buttons. It comes in jetblack, black, silver, gold, or rose gold. 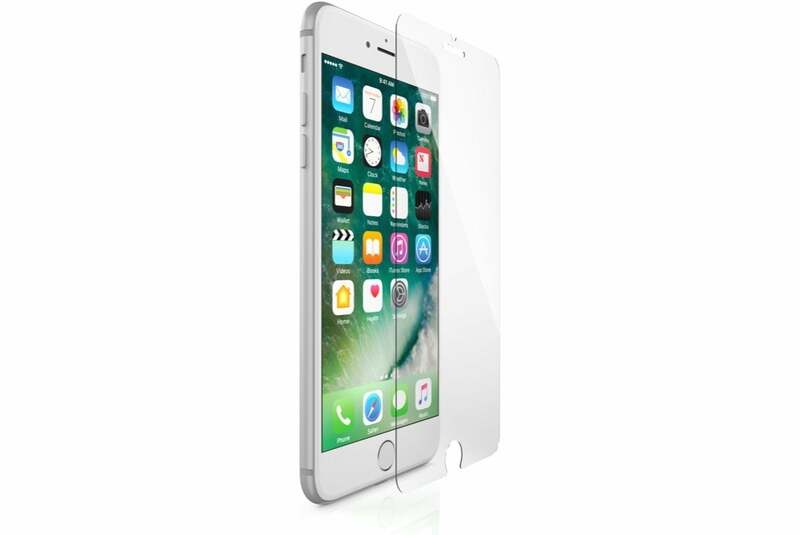 The Interceptor (iPhone 7 and 7 Plus; $35 MSRP, on sale for $19.99, $27.88 on Amazon) is a resilient screen protector that keeps smudges and cracks away. Manufactured with hardened glass, the Interceptor offers superior optical clarity, and comes with placement tabs for easy and hands-free installation. The Fancee (iPhone 7 and 7 Plus; $59.99 MSRP, $44.95 on Amazon) sports a catchy glittery backing that makes it perfect for the upcoming holidays! 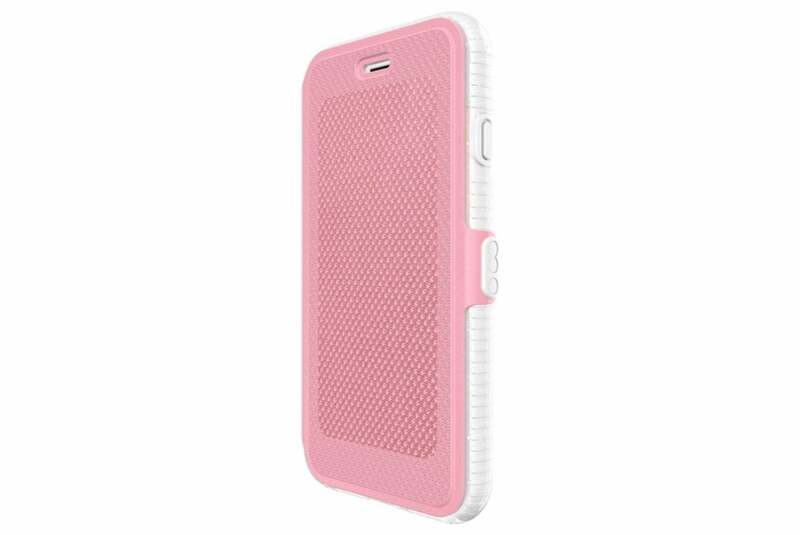 The glamorous case covers all the basics, with its reinforced silicone bumper and a sturdy impact resistant shell. It includes matching button covers for a finishing touch, and comes in silver, rose, or gold. 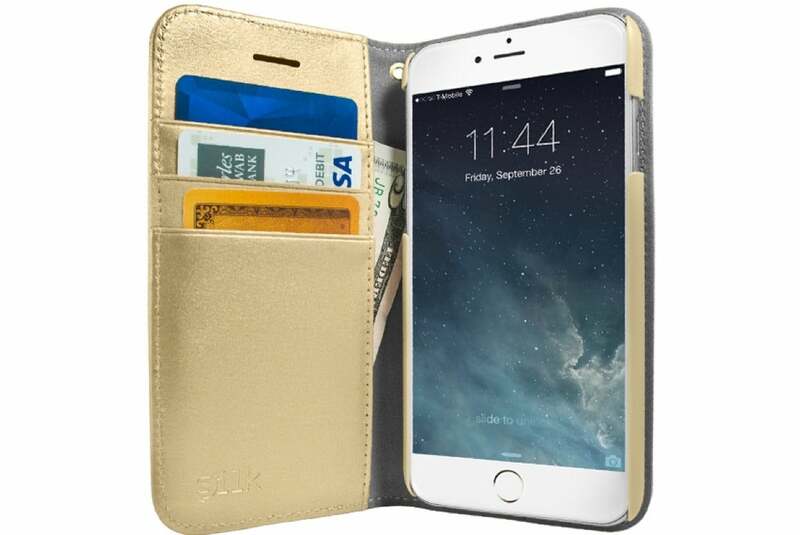 Take your protection to the next level with the Folio Wallet (iPhone 7 and 7 Plus; $24.99 MSRP, $14.99 on Amazon), a beautiful case that features a dedicated cash compartment and three convenient credit card slots. 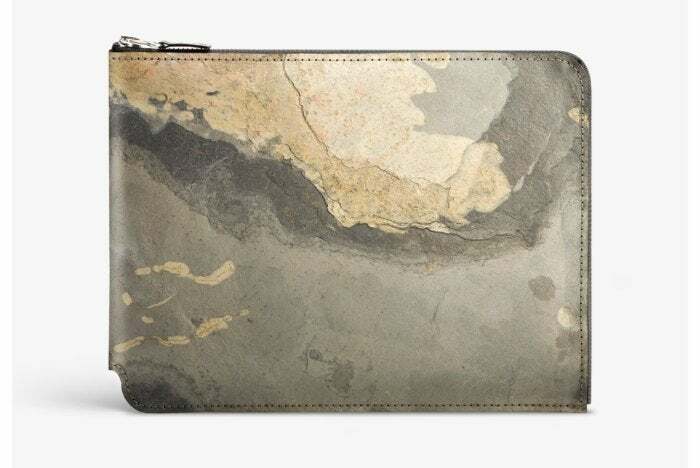 The wallet case features a folding kickstand for hands-free use, a complimentary screen shield, and a detachable wrist strap for added convenience. Made with felt and synthetic leather, the Folio Wallet is available in black onyx, champagne gold, or rose gold. The Monokini (iPhone 7 and 7 Plus; $29 MSRP, $29.74 on Amazon) sports a modern design that combines a transparent polycarbonate shell with a colorful bumper. The case sports a raised camera opening finished with a golden metallic rim, a scratch-resistant coating, and a beveled edge for screen protection. The Monokini comes in navy, brown, or charcoal black. 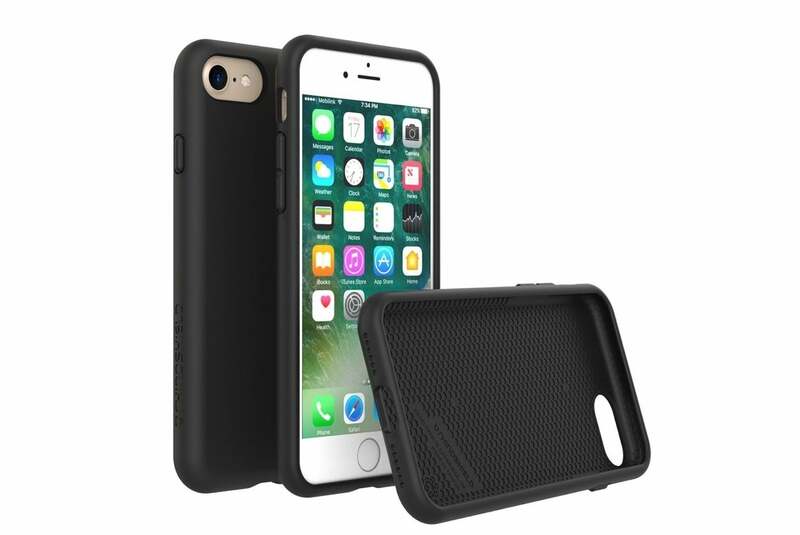 The Evo Wallet Active (iPhone 7 and 7 Plus; $49.95 to $59.95 MSRP) keeps your iPhone safe during your daily commute, with three layers of sturdy materials designed to offer superior impact absorption. The black or pink case comes with a detachable front cover that includes storage for credit cards and earbuds, sports unobstructed access to all your ports and buttons, and is easy to install for quick set up and removal. The Buckingham (9.7-inch iPad Pro and iPad Air 2; $89.99 MSRP) sports a sleek folio layout with a magnetic clasp to secure its cover. 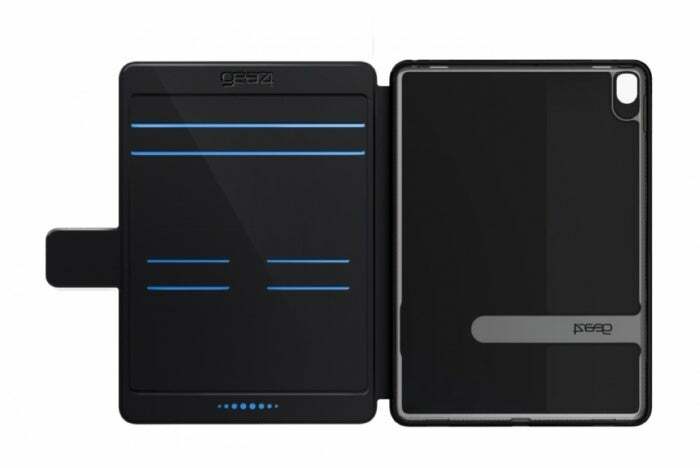 Compatible with the iPad’s sleep/wake feature, the case offers slots for credit cards, photo IDs, and documents, doubles as a viewing stand in landscape orientation, and includes a pen loop for your Apple Pencil. The Stone Briefcase (all iPad models; €168,07 to €184,87, about $179 to $197) is a gorgeous sleeve made with real slate stone for a touch of the unique. Currently available for pre-order, the sleeve comes in three sizes, sports a smooth Alcantara interior for cushioning, and can be secured with a matching zippered closure for quick access. The Keyboard Case (9.7-inch iPad Pro; $99.99 MSRP, on sale for $69.99, $19.99 on Amazon) turns your iPad Pro into a workstation with its convenient Bluetooth keyboard. The folio case features a resilient polycarbonate construction, an aluminum hinge to firmly hold your iPad, and a fold over set up for one-hand use. 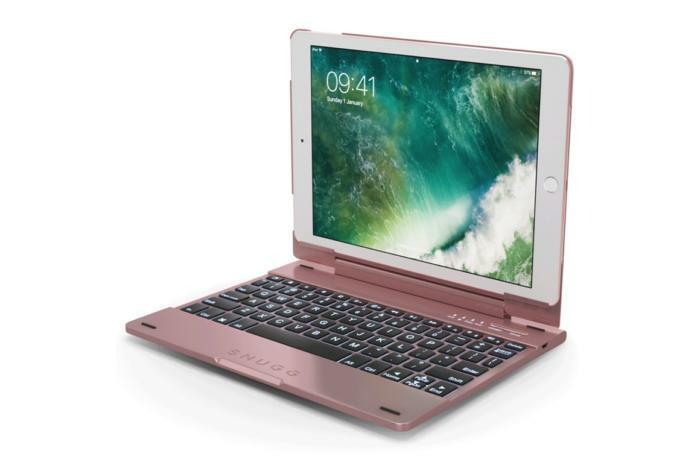 The backlit keyboard includes spacious island-style keys and a battery that lasts up to six hours between charges. 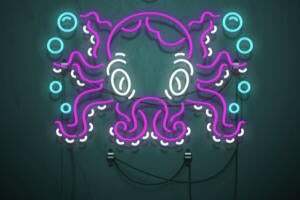 It is available in blue, black, pink, red, or rose gold. The Urban (all iPad models, except 12.9-inch iPad Pro; $29.99 MSRP, $23.99 on Amazon) features a sleek design and plenty of room for all your accessories. The Urban sports a padded compartment for your iPad, a zip-down organizer in the front for extra storage, and an additional exterior pocket for your iPhone. Made with polyester, the sling comes with an adjustable shoulder strap for comfortable carrying.